Now imagine the power to bring these Transformers figures to life is in kids’ hands with Allspark Tech. Allspark Tech figures stand at a 5.5-inch-scale and feature classic Transformers conversion with a twist. 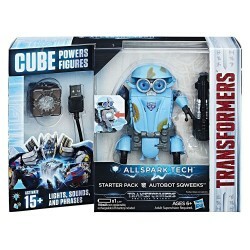 Unite them with the Allspark Tech cube to bring them to life with motion-activated lights, sounds, and phrases (cube only available in starter pack). 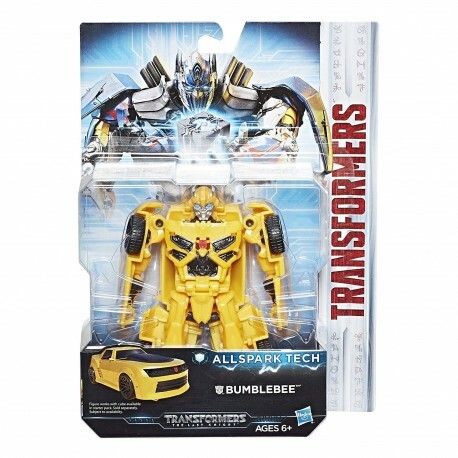 Convert this Allspark Tech Bumblebee figure from robot to muscle car mode in 5 steps. In the explosive Transformers: The Last Knight movie, new heroes rise to forge a future for all. 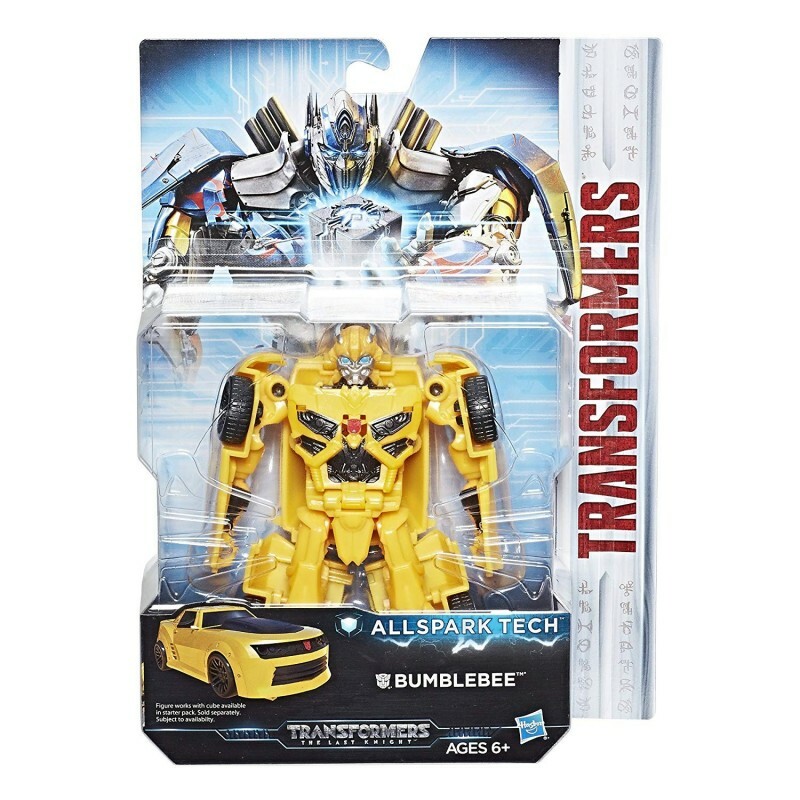 Bumblebee is a cool, down-to-Earth bot who never backs down when Decepticons attack. In the heat of battle, he bravely joins forces with his Autobot comrades to protect Earth and his human friends. 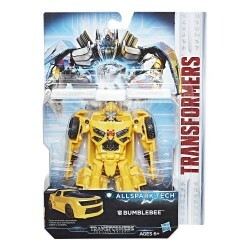 • Includes Transformers: The Last Knight Allspark Tech Bumblebee figure and instructions. • Figure works with cube available in starter pack. Sold separately. Subject to availability.